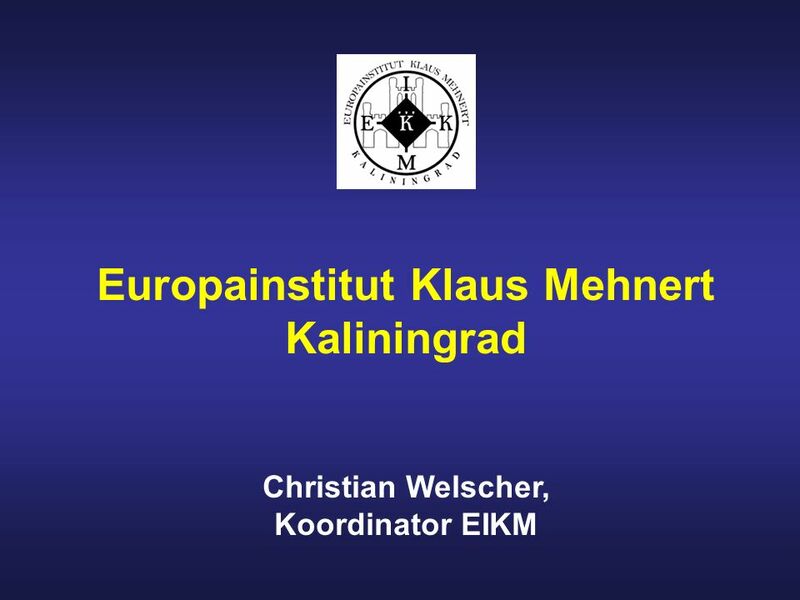 Kaliningrad Christian Welscher, Koordinator EIKM In the following part I would like to give you some information about the Klaus Mehnert Institute of the KSTU, which is one of the most ambitous international projects of the last years. 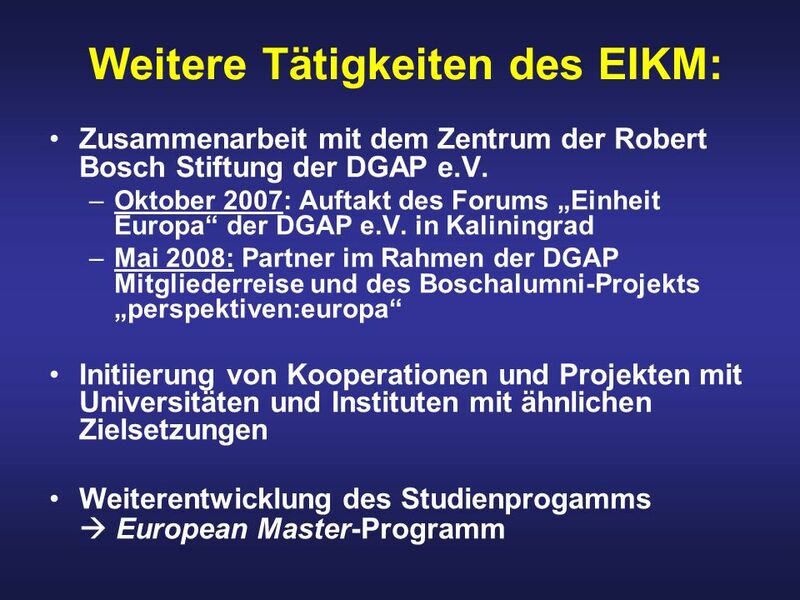 I would like to start with a question: As you see, the Institute is named after Klaus Mehnert – does anybody of you know something about Klaus Mehnert? 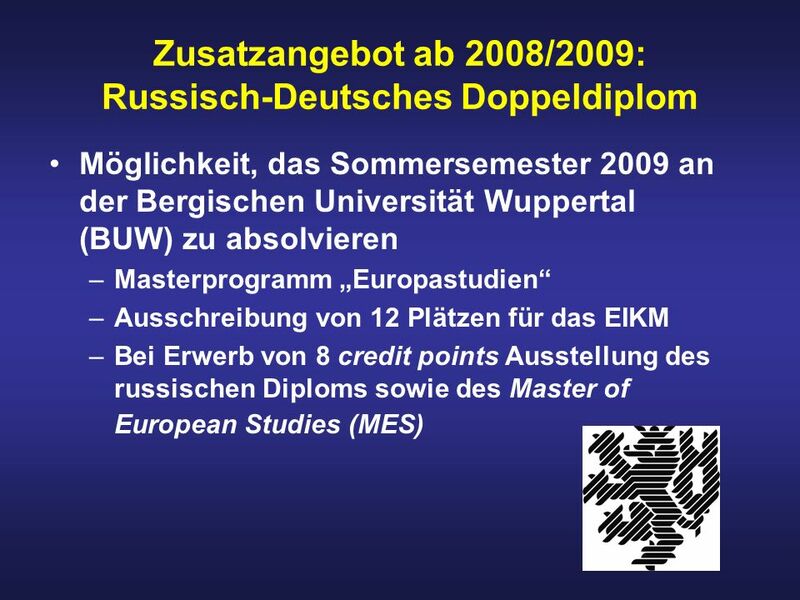 September – März Unterricht in folgenden 6 Fächern (120 Stunden) Europapolitik Europäische Sozialpolitik Europäische Wirtschaft Europarecht Europäische Kultur und Zivilisation Russland und der Westen Fremdsprachen (240 Stunden) nach Wahl Englisch, Französisch, Russisch April – August Praktikum (6 Wochen) Diplomarbeit (14 Wochen) To reach this aim, we have concepted the following study program. 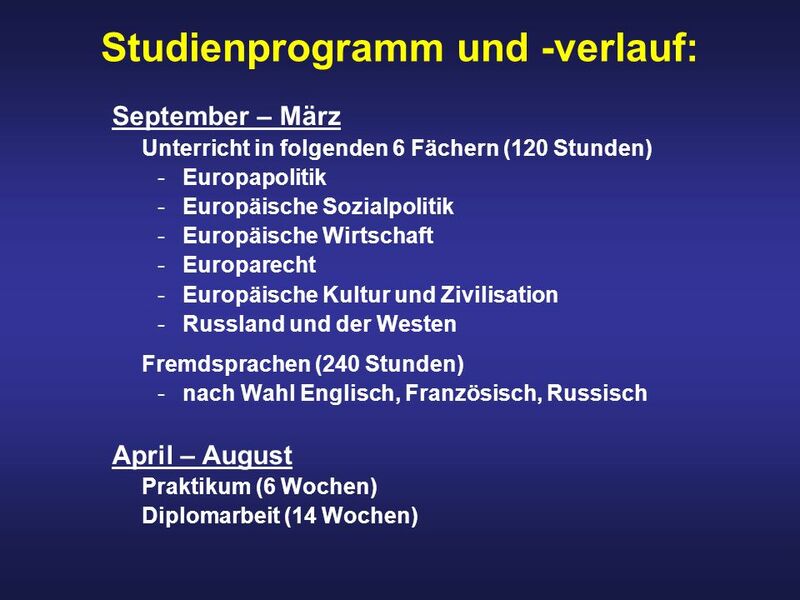 The study program lasts one year and is divided into main part: a theoretical first part and a practical second half In the first half, from september till the end of March, the students are taught in six subjects: (…) Each subjects is taught 120 h. The subjects are taught from professors from Germany, Russia and various institutions of the European Union. F.e. 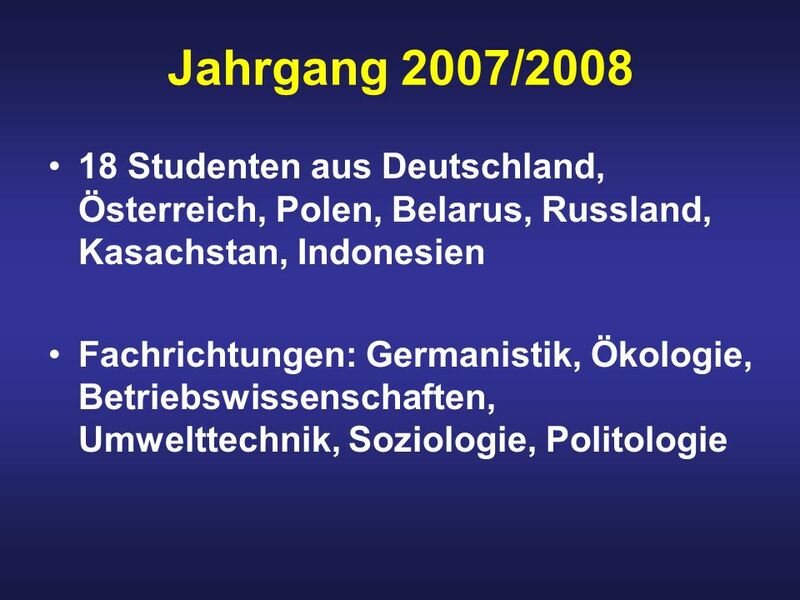 : Prof. Daschitschev, the former adviser from Gorbachov The lectures are completed by language courses. Here the students can choose between English, French and Russian. Each subjects ends with an examination, the examination period is right now – tomorrow will be the last exam in this term. Afterwards the participants leave for a 6 months internship, which is chosen by themselves or by the Institute. 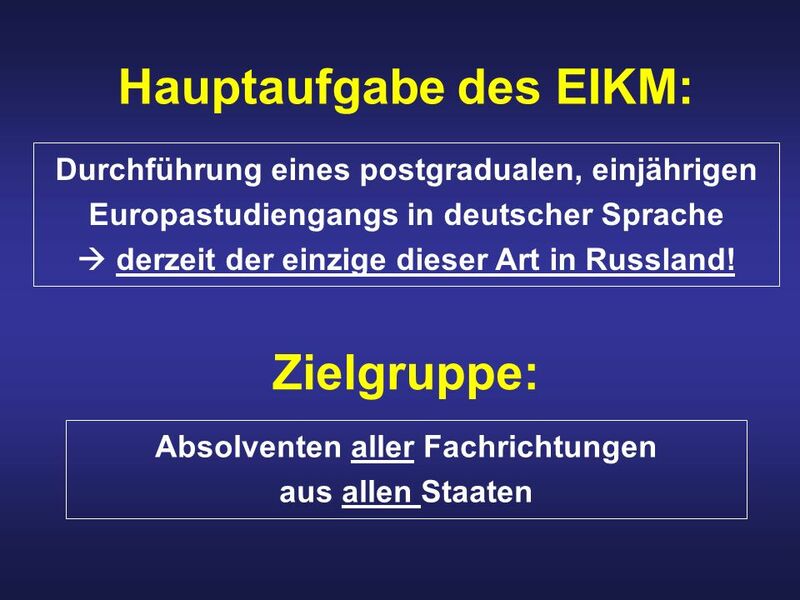 After the internship the preparation of the diploma thesis starts, which lasts 3 months. 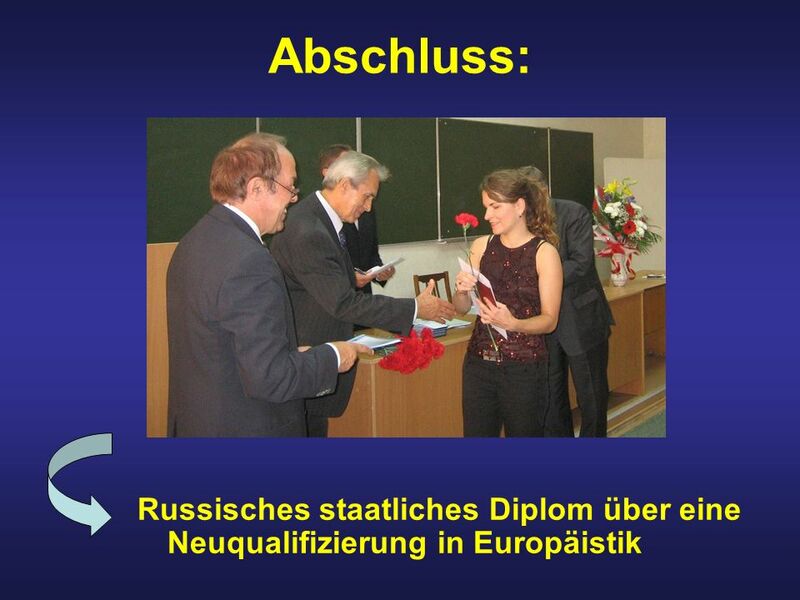 … and for the best graduates the Institute offers a special award: the “Willy Brandt Award”. This price is awarded by the Socialist Group in the European Parliament and is connected with a one month internship in Bruxelles and Strasbourg. The award was handed out last moth by the chairman of the Socialist Group, Martin Schulz, who came to Kaliningrad specially for this event. In the last term 3 students were awarded with the Willy Brandt Award, one girl from Russia, and two students from Germany. 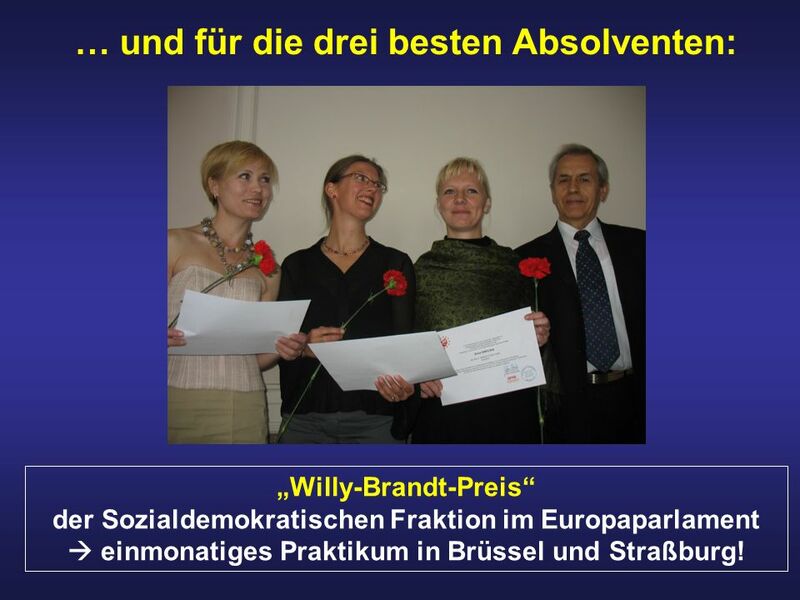 „Willy-Brandt-Preis“ der Sozialdemokratischen Fraktion im Europaparlament  einmonatiges Praktikum in Brüssel und Straßburg! 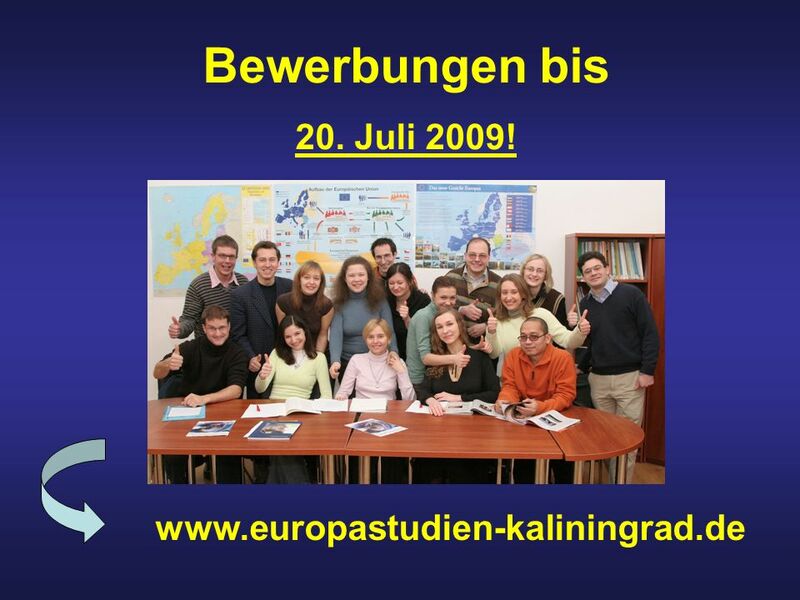 9 Bewerbungen bis 20. Juli 2009! 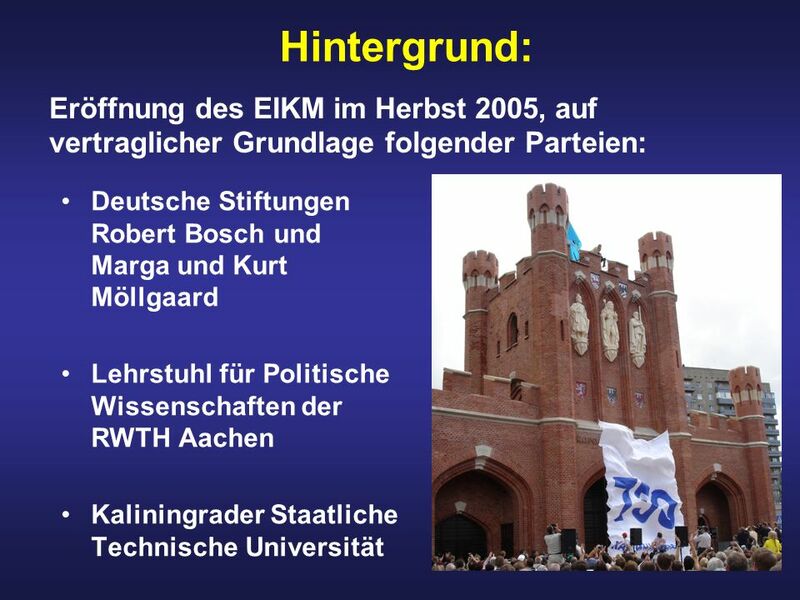 Herunterladen ppt "Europainstitut Klaus Mehnert"